Sending huge congratulations to Hannah and Luke who were married at The Lawn, Rochford on Thursday 22nd June. Hannah and Luke are massive cake fans so found it quite difficult choosing their flavours but in the end went for strawberry & Champagne, cookies & cream, lovely lemony lemon cake and finally (the Groom’s favourite) salted caramel. 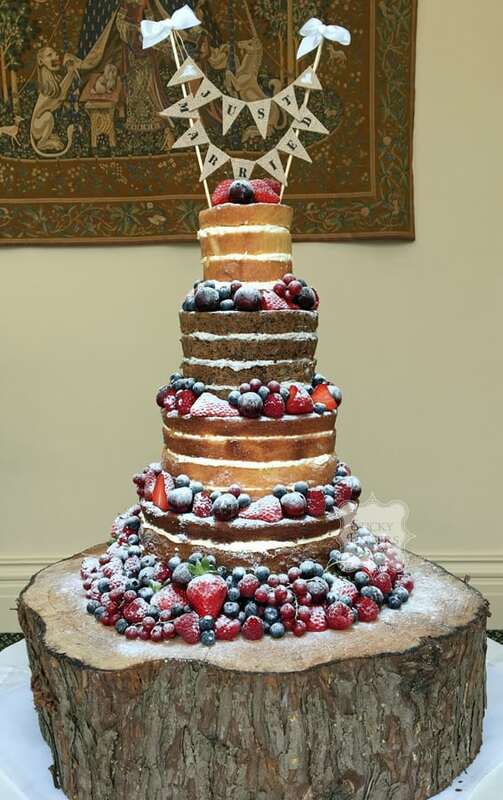 I decorated the cake with fresh seasonal berries and a dusting of icing sugar. I was also asked to supply heart shaped “Bride & Groom” cookie favours for their guests.